Fire blanket is a safety device designed to extinguish small incipient fires. It consists of a sheet of fire retardant material which is placed over a fire in order to smother it.Fire Blanket is a specially treated glass fiber fabric which is very soft, smooth and does not irritate skin. 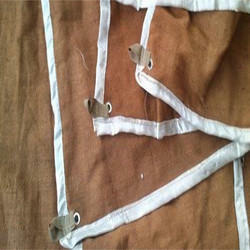 Which use fiberglass thread to sew the fold and fire resistance ribbon. So the crafts ensure the whole fire resistance. Ideal for use around the Home, on a Boat or Yacht, in Hotels, Apartments, Condos, Holiday Rentals, RVs, Trailer Parks, YMCA centers, Log cabins, or any sleeping quarters. Weight Loss 11.28% At 600 Deg. 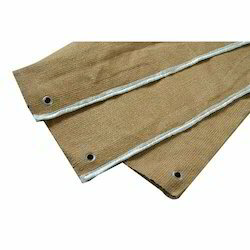 Fire curtains used to prevent heat & heavy metal moltan splashes in hot region such as furnace, boiler etc. Description: Welding blankets are made of fiberglass loom state, caramelized fiberglass, coated fiberglass cloth, and silica cloth which has good construction and endurance of high temperature from 500 up to 1100C degree. Various treatments and sizes could be fabricated on request. And we can install with eyelets, clips or Velcro on the blankets in order to suit your individual needs. The type of welding application determines which type of fabrics are needed. For vertical welding blanket application, thinner fabrics may be used. For horizontal or flat welding blanket application, heavier fabrics and higher melting temperature fabrics should be used. Packaging Details: Every Piece Non-Oven Bag Packing. 10 Pieces Per Bundle. Best Quality Packing In Every Bag. 100% Dust Free Bag. Per Bag Fire Blanket is 100% Non-Asbestos. Each bag will be with our company Trademark. Is There any S.S. Metallice Wire Inside Yes, There is S.S. Metallice Wire Inside. Test Certificate Yes, Government Approval T.C. Ceramic Vermiculite Cloth Vermiculite coated ceramic fiber cloth is a soft, flexible cloth made of ceramic fiber yarn reinforced by fiberglass or steel wire with Vermiculite coating. 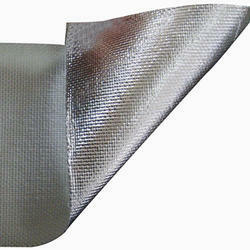 It is an ideal replacement for asbestos product used for thermal insulation and heat protection. It will not burn, rot, mildew or deteriorate and resist most acids. It has low coefficient of thermal expansion and is suitable for temperature up to 1050C. Application: It is used in applications including welding blankets, stress relieving, removable insulation covers, fire blankets, fire curtains, expansion joints and flue ducts. 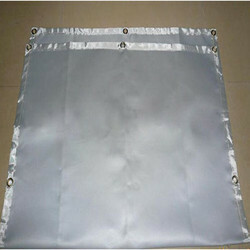 Application Welding Blanket, Insulation Cover,Cutting Area, etc..
Made of fiberglass fabric, can bear high temperature, silica gel layer which can increase the guard blanket heat preservation performance, have greatly reduce fiber loose quality, and all at the same time, can waterproof and dust proof. Double flame retardant insulation, performance better. It has strong tensile strength and toughness. Fiberglass fire blanket is a ideal and efficient external resist to the persons or goods who need to be far away from heat fiberglass fire blanket is mainly processed by special technique with fireproofing fiber. 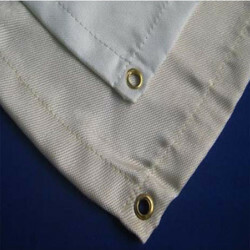 Its main characteristics are: fireproofing, high temperature resistant, soft fabric, smooth, compactness, and no spur to skin, it is a ideal and efficient external resist to the persons or goods who need to be far away from heat source, meanwhile, it is easy to use this product to knot the objects whose surface is not smooth, and it could be reused under the condition of not being broken. Lying over the fire source, obstruct air to got the goal of resisting the fire. 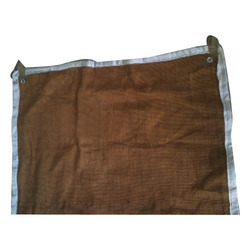 Fireproofing blanket is mainly used as incipient easy using fireproofing equipment in such king of site as enterprise, store, boat, car, and other buildings. It is especially suitable for the place easy to get on fire such as chicken, hotel, entertainment ground and gas station. This product is used to proof fire spreading and preserving. Put the fireproofing blanket on the fire source at the infant of being on fire, the fire could be put out within a short time. It protects human lives, precious capital goods and other valuable items from fire. Ideal for its use in the area of welding works. We are offering best quality of Fiber Glass Fire Blanket to our customers. Fire Blanket is a simple and convenient fire-control instrument outfitted for enterprises,stores, vessels, antos and civil building, especially useful in household kitchens, hotels, recteational facilities and gas stations to block the fire spreading and provide shield for the safe evacuation. Can be wrapped around a person whose clothes has caught fire. Used as the protective layer of super glass wool with excellent functions of fire-resistance, anti-corrosion, heat isolation and heat protection and sound absorption, sound-proof materials in construction. Used as the thermal insulation material on heat supply pipes after laminate glass wool, rock wool, PU foam and other insulation to protect them against vapor moisture. 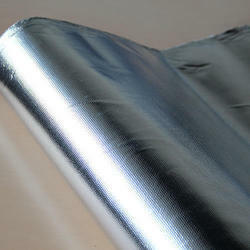 Heat sealing aluminum foil facing also used as a water vapor barrier in air condition ductworks and Hot & cold room. Used as Packing chemical equipments such as oil and steam transportation pipeline and the steam pipelines in the petrochemical industry. 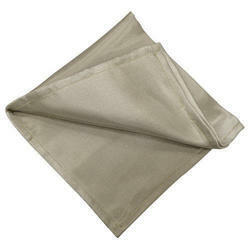 Welding blanket is made fiberglass fabric, coated fiberglass fabric or silica fabric. Making by edge wrapping, and buckles and finished with plastic bags and labels. 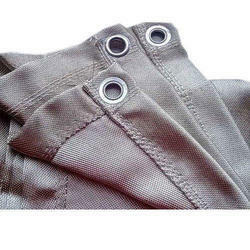 To meet the requirement, choosing the suitable fabric is most important. 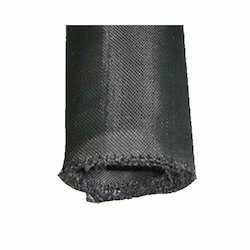 Owing to an industry experience, we have been successful in delivering the requirements of our esteemed customers by offering quality range of Graphite Coated Fire Blanket. We hired skilled workers who are involve in manufacturing these products by using fiberglass base cloth with compounded graphite which enhances the strength, fireproof, high temperature and flame. 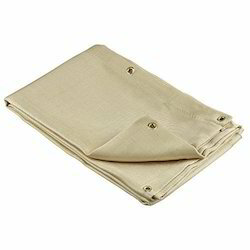 In addition, our fire blankets are in demand for their excellent quality. Thermal Insulation Fire Blanket are surface treated fabrics with heat-resistance, high thickness and tight weaving. We are offering to our customers a qualitative range of Asbestos Fire Blanket. 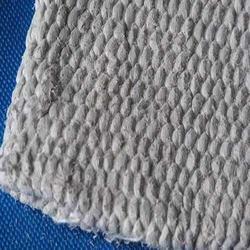 Asbestos Cloth: Woven from Asbestos Yarn in a variety of textures, thickness and weight to suit diversified application. It is used for Thermal Insulation in Power Plants, Boiler Mattresses, Pipe Lines, Protective Clothing and Smothering Fires. It possesses an excellent fire resisting, fire rot and vermin proof qualities. This product is highly durable and compatible n nature. Customers can be easily availed from the market at reasonable prices. Fiberglass Welding Fire Blanket are surface treated fiberglass fabrics with heat-resistance, high thickness and tight weaving, suitable for isolation and prevention in industrial and civil welding operation. 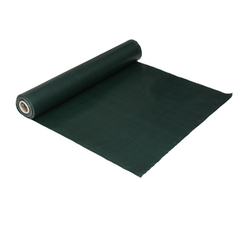 The Fiberglass Plain Weave Fabric is a fabric woven in plain method with E-glass or C-glass roving.It is also named "E-glass or C-glass Roving Cloth. "The fabric could beeasily impregnated with resin and it comes out with high adhesion strength;additionally this fabric is with high performance in chemical-corrosion resistance,fire resistance,heat resistance, and durability.So as it is widely used in GFRP(Glass Fiber Reinforced Plastics) industry and other chemical-corrosion,fire resistance and heat resistance material and projects. The weave-lock treatment stiffens the fabric slightly to reduce the amount of fraying during fabrication. The weave-lock finished fiberglass fabric enables the user to cut, sew and punch holes more effectively. Cotad Welding Fire Blanket cloth is a medium weight texturized fiberglass fabric, acrylic weave set finish- high add-on, provide good hand, minimal dust, and ease of application. It’s used for flexible expansion joint, removable jackets, welding protection and other types of fire control systems. Use in kitchen, hotel, caracan, garage, gas station, laboratory, BBQ etc. Ourcompany become to be a most important technology research and development center of fiberglass products and enjoy a good reputation in home and abroad . We sincerely welcome friend all over the world to visit the company and cooperate with us . Can be vertical(hanging) andhorizonta (flat) application. Thinner materials recommended vertical, heavier materials recommander horizontal and/or with higher temperature rating. 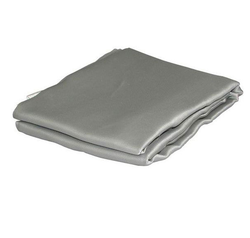 This high temperature, heat and flame resistant thermal insulating Welding Blanket. The base High Temperature fiberglass fabric is fabricated from high quality type E fiberglass that will not burn. The fabric is then coated with a heat treated dispersant. This material resists most acids and alkalis and is unaffected by most bleaches and solvents. It is highly flexible and conformable. Light weight, Softness and smoothness, well handle. 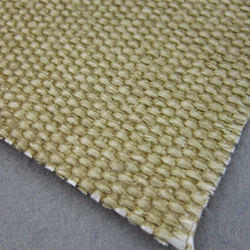 Having been specially treated, it's a kind of fiberglass twill texture, which is very sort and compact. Lying over the fire source,obstruct air to get the goal of resisting the fire within a short time. When a fire happen, it's a good fire-fighting equipment. Somebody can protect himself to escape from a fire hit it. It's very effective and easy to use. Packaging Details: 10 Pieces’ Per Bundle. Every Every Piece Non-Oven Bag Packing. Bag Best Quality Packing. Look of the Fire Blanket is Unique. 100% Dust Free Bag. As Per Your Requirements. Per Bag Fire Blanket is 100% Non-Asbestos. Each bag will be with our company symbols... 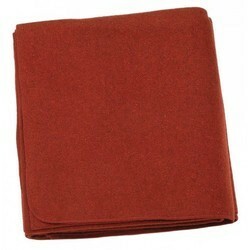 Size of Fire Blanket as per Your Requirement’s. In case the clothes of a person are on fire, please wrap the person with the product. Fire blanket is easy to carry store and simple to use. It is the best choice for emergency, fire protection and fire fighting. Ideal for use in kitchen, hotel, garage, gas station, laboratory. Reliable and High Quality Control System In strict conformance with national and international standard Customer's designs and sticker are Welcome Reasonable Price Fire Blanket is made of 100% fire resistant fiberglass, which is specially treated to be compact, soft and smooth. It has the advantages of fire retardant, high-temperature resistant, incombustibility, anticorrosion, insect resistance, reusable, that can effectively eliminate fire hazards, increase chances to escape from fire, and reduce property damage and casualties.